Since Python 3.4, there has been inbuilt support for asynchronous programming in Python. Unfortunately, the Asyncio library has received a lot of criticism, with much of this criticism being rather unjust. These days many of the asynchronous web frameworks and database tools out there require little interaction with the underlying Asyncio library and simply require an understanding of the async await syntax. In this post, we are going to go into how you can use the Asyncio library in a more general sense. As pointed out by Yury Selivanov, a significant chunk of developers don’t need to worry about these internals and can simply benefit from async/await syntax. We are going to use the same simple function throughout the following examples. The function simply creates a client and makes a http request. This simple function will help us demonstrate the different ways we can use the underlying Asyncio library. The helper function pulls in a dependency, namely Aiohttp and will be used throughout the following examples. Note that we aren’t properly handling errors here and simply passing back a string stating the request returned an exception. Any production code would need to do a better job with error handling. If we need to collect a group of results before proceeding with our script or program, using as completed can be a good option. This allows us to asynchronously run a number of coroutines at once, with the results being returned when they are ready. An example can be found in the following code snippet. However, this is not always appropriate as we may have to wait a long time to receive all of the returned results particularly if the list of URLs we wanted to retrieve was particularly large. 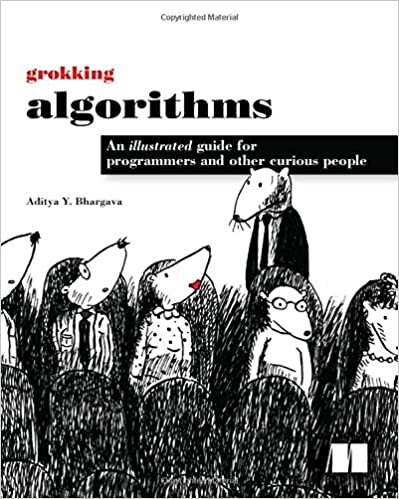 If we want to run a group of coroutines and gather the results, as completed gives one way of doing so. The above code creates a future then registers a callback which will make use of the result returned through the future. We are able to register multiple callbacks should we want, allowing us to use the results of async function in multiple places. However, callback based programming can be very confusing and should ideally be avoided where possible. This means that futures and callbacks have limited utility in day to day async programming. Asyncio also gives users the ability to create tasks directly in the event loop. This allows for the creation of fire and forget tasks which run in the background but do not need to be awaited. However, such fire and forget tasks are considered an anti-pattern and should not be used for a number of reasons. Fire and forget tasks will be cancelled if the event loop is exited and there is no easy way to handle errors which can occur within these tasks. The below example demonstrates both waiting for a task and the creation of a fire and forget task for reference purposes. Asyncio also provides a way to run a number of co-routines and await the results as they return. The ‘await’ function works similarly to asyncio as completed, but gives the user the ability to continually poll the futures for whether they are completed. Again, this is particularly useful if you want to run a bunch of futures together at one time. Wait provides one of the easiest ways to run a bunch of coroutines together and gather the results. It also provides users the ability to continually poll futures and allows for users to handle any exceptions that occur in the future should they wish. It is also possible to pass a timeout to the wait function which will cancel any futures which are not completed within the timeout period. Gather provides a very similar interface to wait but does not provide users the ability to poll the tasks. Gather is commonly used to run a number of different groups of coroutines often in the main function of an async program. Gather provides one of the simplest APIs and should be used whenever you simply want to run a group of couroutines and gather all the results, as the name would suggest. As you can see gather provides us with a very easy way to return results from a number of different coroutines by simply feeding them into the gather using a *. Gather is one of the most commonly used lower level APIs and is extremely useful when writing programs and scripts which make use of the asyncio library. The asyncio library provides a number of different lower level APIs for running and handling results from coroutines. When using many of the popular asyncio web frameworks using these APIs tends to be unnecessary with users able to simply use async and await to produce performant servers. However, knowing how to use these core APIs will allow you to write your own asyncio programs and scripts which take advantage of all of what asyncio has to offer. Threading in Python often gets a bad rap, however the situation around threading has gotten a lot better since the Concurrent Futures library was introduced in version 3.2 of Python. Python threads however will only give you an increase in performance in certain circumstances, firstly it is only recommended to use threads for IO bound tasks. The reason for this is to complicated to go into here, but are related to the workings of Python’s GIL (Global Interpreter Lock) Those looking to improve performance of CPU heavy tasks instead need to make use of multiprocessing. In fact, the concurrent futures library provides same interface for working with both threads and processes. The code in this post will focus on using the library with threads but many of the same patterns can be applied to code making use of a process pool. A core part of the concurrent futures library is the ability to create a thread pool executor. Thread pools make it much easier to manage a bunch of threads. We simple create an instance of a thread pool and set the number of threads we want to use. We can then submit jobs to be run the thread pool. This first example just shows us how to submit a job to a thread, however at this point we have no way to work with the results. We are going to begin looking at the as completed pattern. This allows to submit a bunch of different tasks to our thread pool and retrieve the results as the tasks have been completed. This construct can be very handy if we want to do a bunch of blocking IO tasks and then process the results once all the tasks have been completed. In the above example, we use the get_page function as before which has be omitted for brevity. Here we simply submit our simple task to the thread pool executor we can then wait for all of our submitted tasks to be completed. We can also set an optional timeout which will see our tasks timeout if they take too long. We can also use the thread pools executor’s map function to take a group of tasks and then map these to the different threads in our thread pool. The first argument to the call is the function in question and then a iterable of arguments to be passed into the function this then returns us a list of futures. Getting results from this relatively easy, and we can get the final results of the tasks in question by simply calling list over our iterable of futures objects. This then gives us a list of results which can work with the list of results just as if they had been returned from a normal function. Callbacks provide Python users one of the most powerful methods for working with thread pools. With a callback we can submit a task to our thread pool and then call add_done_callback to the future object returned from our thread pool submission. What is more tricky is that the callback takes only one argument which is the result of the future. We can then perform various actions to the future result, such as checking for whether an exception was thrown or whether the future was cancelled before it was able to complete it’s task. We can then finally handle and process the result of the future. This allows for some more complicated concurrent programming patterns with the callbacks feeding a queue of additional jobs to be processed. Python is often criticized for being slow. In many cases pure Python is fast enough, there are certain cases where Python may not give you the performance you need. In recent years a fair number of Python programmers have made the jump to Golang for performance reasons. 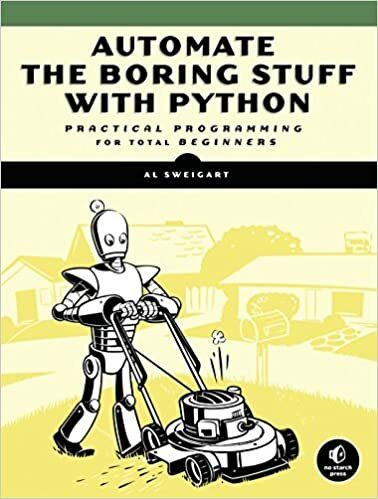 However there are a number of ways you can improve the performance of your Python code such as using PyPy, writing C extensions or trying your hand at Cython. Cython is a superset of the Python language. This means that the vast majority of Python code, is also valid Cython code. Cython allows users to write Cython modules which are then compile and can be used within in Python code. This means that users can port performance critical code into Cython and instantly see increases in performance. The great thing about Cython code is that you can determine how much to optimize your code. Simply copying and compiling your Python code might see you make performance gains of 8-12%, whereas more serious optimization of your code can lead to significantly better performance. Installing Cython on Linux is very easy to do and just requires you to use the ‘pip install cython’ command. Those on Windows devices will likely have a much tougher time, with the simplest solution seeming to be just installing ‘Visual Code Community’ and selecting both the C++ and Python support options. You can then just install Cython like you would any other Python package. We are going to begin with compiling a pure Python function. This is a very simple task, and can achieve some limited performance benefits, with a more noted increase in performance for functions which make use of for and while loops. To begin we simply save the below code into a file called ‘looping.pyx’. This very simple function takes a list of numbers and then multiples each number by it’s index, and returning the sum of the results. This code is both valid Python and Cython code. However, it takes no advantage of any Cython optimizations other than the compilation of the code into C.
What kind of performance benefits can we expect from just compiling this Python code into a Cython module? I ran some tests and on average the Cython compiled version of the code took around 10% less time to run over a set of 10,000 numbers. Cython achieves optimization of code by introducing typing to Python code. Cython supports both a range of Python and C types. Python types tend to be more flexible but give you less in terms of performance benefits. The below example makes use of both C and Python types, however we have to be very careful when using C types. For instance we could throw an overflow error should the list of numbers we pass in be too large and the result of the multiplication being to large to store in a C long. As you can see we use the Python type ‘list’ to type annotate our input list. We then define two C types which will be used to store the length of our list and our output. We then loop over our list in exactly the same way as we did in our previous example. This shows just how easy it is to start adding C types to code with the help of Python. It also illustrates how easy it is to mix both C and Python types together in one extension module. This hybrid code when tested was between 15-30% faster than the pure Python implementation without taking the most aggressive path of optimization and turning everything into a C type. While these savings may seem small, they can really add up on operations which are repeated hundreds of thousands of times. Unlike standard Python, Cython has three types of functions. These functions differ in how they are defined and where the can be used. Cdef functions – Cdef functions can only be used in Cython code and cannot be imported into Python. Cpdef functions – can be used and imported in both Python and Cython. If used in Cython they behave as a Cdef function and if used in Python they behave as if they are standard Python function. The below code block demonstrates how each of these three function types can be defined. This allows you to define highly performant Cdef functions for use within Cython modules, while at the same time allowing you to write functions that are totally compatible with Python. Cpdef functions are a good middle ground, in the sense that when they are used in Cython code they are highly optimized while remaining compatible with Python, should you want to import them into a Python module. While this introduction only touches the surface of the Cython language, it should be enough to begin optimizing code using Cython. However, some of the more aggressive optimizations and the full power of C types are well beyond the scope of this post. When web-scraping, you often need to source a number of proxies in order to avoid being banned or get around rate limiting imposed by the website in question. This often see’s developers purchasing proxies from some sort of commercial provider, this can become quite costly if you are only need the proxies for a short period of time. So in this post we are going to look at how you might use proxies from freely available proxy lists to scrape the internet. While free proxies are great in the sense that they are free, they tend to be highly unreliable. This is due to the fact that up-time is inconsistent and these proxies get blocked quickly by popular sites such as Google. Our solution is also going to build in some monitoring of the current status of the proxy in question. Allowing us to avoid using proxies which are currently broken. We are going to use free-proxy-list.net, as our source for this example. But the example could easily be expanded to cover multiple sources of proxies. We simply write a simple method which visits the page and pulls out all the proxies from the page in question using our chosen user-agent. We then store the results in a dictionary, with each proxy acting as a key holding the information relating to that particular proxy. We are not doing any error handling, this will be handled in our ProxyManager class. Our proxy manager is a simply class which allows us to get and manage the proxies we find on free-proxy-list.net. We pass in a test URL which will be used to test whether the proxy is working and a user agent to be used for both scraping and testing the proxies in question. We also create a thread pool, so we can more quickly check the status of the proxies we have scraped. We then call our update_proxy_list, returning the proxies we have found on free-proxy-list.net into our dictionary of proxies. We can now write a couple of methods to test whether a particular proxy works. The first method takes the proxy and the dictionary of information related to the proxy in question. We immediately set the last checked variable to the current time. We make a request against our test URL, with a relatively short timeout. We also then check the status of the request raising an exception should we receive a non-200 status code. Should anything go wrong, we then set the status of the proxy to dead, otherwise we set the status to alive. We then write our refresh proxy status which simple calls our check proxy status. We iterate over our dictionary, submitting each proxy and the related info of to a thread. If we didn’t use threads to check the status of our proxies, we could be waiting a very long time for our results. We then loop through our results and update the status of proxy in question. We then write two methods for getting ourselves a proxy. Our first method allows us to get a list of proxies by passing in a relevant key and value. This method allows us to get a list of proxies that relate to a particular country or boasts a particular level anonymity. This can be useful should we be interested in particular properties of a proxy. We also have a simple method that allows us to return a single working proxy. This returns the first working proxy found within our proxy dictionary by looping over all the items in the dictionary, and returning the first proxy where ‘alive’ is equal to true. Using the library is pretty simple. We just create the class passing in our test URL (using Google.com here) and our selected user-agent. We then call refresh_proxy_status, updating the status of the scraped proxies by running them against our test URL. We can then pull out an individual working proxy. We can then update our proxy list with a fresh scrape of our source should we not be satisfied with the proxies we currently have access to. In today’s post we are going how to look at how you can extract information from a users Instagram profile. It’s surprisingly easy to extract profile information such as the number of followers a user has and information and image files for a users most recent posts. With a bit of effort it would be relatively easy to extract large chunks of data regarding a user. This could then be applied at a very broad scale to extract a large chunk of all public posts featured on Instagram’s site. The init method of our class takes two optional keyword arguments, which we simply store in self. This will allow us to override the default user agent list and use a proxy should we wish to avoid detection. We then write two helper methods. First, we write a very simply method that returns us a random user-agent. Switching user agents is often a best practice when web scraping and can help you avoid detection. Should the caller of our class have provided their own list of user agents we take a random agent from the provided list. Otherwise we will return our default user agent. Our second helper method is simply a wrapper around requests. We pass in a URL and try to make a request using the provided user agent and proxy. If we are unable to make the request or Instagram responds with a non-200 status code we simply re-raise the error. If everything goes fine, we return the page in questions HTML. We can write this very hacky, but effective method to extract JSON from a user profile. We apply the static method decorator to this function, as it’s possible to use this method without initializing our class. We simply create a soup from the HTML, select body of the content and then pull out the first ‘script’ tag. We can then simply do a couple text replacements on the script tag, to derive a string which can be loaded into a dictionary object using the json.loads method. We then bring it all together in two functions which we can use to extract information from this very large JSON object. We first make a request to the page, before extracting the JSON result. We then use two different selectors to pull out the relevant bits of information, as the default JSON object has lots of information we don’t really need. When extracting profile information we extract all attributes from the “user” object, excluding their recent posts. In the “recent posts” function, we use a slightly different selector and pull out all the information about all of the recent posts made by our targeted user. We can then use the Instagram scraper in a very simply fashion to pull out all the most recent posts from our favorite users in a very simple fashion. You could do lots of things with the resulting data, which could be used in Instagram analytics app for instance or you could simply programmatically download all the images relating to that user. There is certainly room for improvement and modification. It would also be possible to use Instagram’s graph API, to pull out further posts from a particular user or pull out lists of a users recent followers etc. Allowing you to collect large amounts of data, without having to deal with Facebook’s restrictive API limitations and policies. The asyncio library was introduced to Python from versions, 3.4 onwards. However, the async await syntax was not introduced into the language in Python 3.5. The introduction of this functionality allows us to write asynchronous web crawlers, without having to use threads. Getting used to asynchronous programming can take a while, and in this tutorial we are going to build a fully functional web crawler using asyncio and aiohttp. We are going to write a web crawler which will continue to crawl a particular site, until we reach a defined maximum depth. We are going to make use of a fan-in/fan-out concurrency pattern. Essentially, this involves gathering together a set of tasks, and then distributing them across a bunch of threads, or in across co-routines in our case. We then gather all the results together again, before processing them, and fanning out a new group of tasks. I would highly recommend Brett Slatkin’s 2014 talk, which inspired this particular post. We can then start defining our class. Our crawler takes two positional arguments and one optional keyword argument. We pass in the start URL, which is the URL we begin our crawl with and we also set the maximum depth of the crawl. We also pass in a maximum concurrency level which prevents our crawler from making more than 200 concurrent requests at a single time. The start URL is then parsed to give us the base URL for the site in question. We also create a set of URLs which have already seen, to ensure that we don’t end up crawling the same URL more than once. We also create session using aiohttp.ClientSession so that we can skip, having to create a session every time we scrape a URL. Doing this will throw a warning, but the creation of a client session is synchronous, so it can be safely done outside of a co-routine. We also set up a asyncio BoundedSemaphore using our max concurrency variable, we will use this to prevent our crawler from making too many concurrent requests at one time. We can then write a function make to a asynchronous HTTP request. Making a single asynchronous request is pretty similar to making a standard HTTP request. As you can see we write “async” prior to the function definition. We begin by using an async context manager, using the bounded semaphore created when we initialized our class. This will limit asynchronous requests to whatever we passed in when creating an instance of AsyncCrawler class. We then use another async context manager within a try/except block to make a request to the URL, and await for the response. Before we finally return the HTML. We can then write a standard function to extract all the URLs from a html response. We create DOM (Document Object Model) object from our HTML, using Lxml’s HTML sub-module. Once we have extracted our document model, we able to query it using either XPath or CSS selectors. Here we use a simple XPath selector to pull out the ‘href’ element of every link found on the page in question. We can then use urllib.parse’s urljoin function with our base URL and found href. This gives an absolute URL, automatically resolving any relative URLs that we may have found on the page. If we haven’t already crawled this URL and it belongs to the site we are crawling, we add it to our list of found URLs. The extract async function is a simple wrapper around our HTTP request and find URL functions. Should we encounter any error, we simply ignore it. Otherwise we use the HTML to create a list of URLs found on that page. Our extract_multi_async function is where we fan out. The function takes a list of URLs to be crawled. We begin by creating two empty lists. The first will hold the futures which refer to jobs to be done. While the second holds the results of these completed futures. We begin by adding a call to our self.extract_async function for each URL we have passed into the function. These are futures, in the sense that they are tasks which will be completed in the future. To gather the results from these futures, we use asyncio’s as_completed function, which will iterate over the completed futures and gather the results into our results list. This function will essentially block until all of the futures are completed, meaning that we end up returning a list of completed results. We have a parser function defined here which will by default raise a NotImplementedError. So in order to use our crawler, we will have to sub class our crawler and write our own parsing function. Which will do in a minute. Our main function kicks everything off. We start off by scraping our start URL, and returning a batch of results. We then iterate over our results pulling out the URL, data, and new URLs from each result. We then send the HTML off to be parsed, before appending the relevant data to our list of results. While adding the new URLs to our to_fetch variable. We keep continuing this process until we have reached our max crawl depth, and return all the results collected during the crawl. Sub-classing the crawler is very simple, as we are able to write any function we wish to handle the HTML data returned by our crawler. The above function simply tries to extract the title from each page found by our crawler. We can the call the crawler in a similar way to how we would call an individual asyncio function. We first initialize our class, before creating future with the asyncio.Task function passing in our crawl_async function. We then need an event loop to run this function in, which we create and run until the function has completed. We then close the loop and grab the results from our future by calling .result() on our completed future. I have previously written a piece looking at how to write a web crawler using Go and popular framework Colly. However, it is relatively simple to write a relatively powerful web crawler in Golang without the help of any frameworks. In this post, we are going to write a web crawler using just Golang and the Goquery package to extract HTML elements. All in all, we can write a fast but relatively basic web crawler in around a 130 lines of code. First, we import all the packages we need from the standard library. We then pull in goquery, which we will use to extract data from the HTML returned by our crawler. If you don’t already have goquery, you will need to go grab it with go get. When then define our our ScrapeResult struct, which contains some very simple data regarding the page. This could easily be expanded to return more useful information or to extract certain valuable information. When then define a Parser interface which allows users of our democrawl package to define their own parser to use with the basic crawling logic. We are going to write a function which simply attempts to grab a page by making a GET request. The function simply takes in a URL, and makes a request using the default Googlebot agent, to hopefully avoid any detection. Should we encounter no issues, we simply return a pointer to the http.Response. Should something go wrong we return nil and the error thrown by the GET request. Our crawl is going to restrict itself to crawling URLs found on the domain of our start URL. To achieve this, we are going to write two functions. Firstly, we are going to write a function which discovers all the links on a page. Then we will need a function to resolve relative URLs (URLs starting with “/”). Our extract links function takes in a pointer to a goquery Document and returns a slice of string. This is relatively easy to do. We simply create a new slice of strings. Should we have passed in a document, we simply find each link element and extract it’s href attribute. This is then added to our slice of URLs. We then have our resolveRelative function. As the name suggests this function resolves relative links and returns us a slice of all the internal links we found on a page. We simply iterate over our slice of foundUrls, if the URL starts with the sites baseURL we add it straight to our slice. If the URL begins with “/”, we do some string formatting to get the absolute URL in question. Should the URL not belong to the domain we are crawling we simply skip it. We can then start bring all of our work together with a function that crawls a single page. This function takes a number of arguments, we pass in our base URL and the URL we want to scrape. We also pass in the parser we have defined in our main.go function. We also pass in a channel of empty structs, which we use as a semaphore. This allows us to limit the number of requests we make in parallel, as reading from a channel in the above manner is blocking. We make our requests, then create a goquery Document from the response. This document is used by both our ParsePage function and our extractLinks function. We then resolve the found URLs, before returning them and the results found by the our parser. We can pull out our baseURL by using the net/url package’s Parse function. This allows us to simply parse our start URL into our main Crawl function. After we parse the URL, we simply join together the scheme and host using basic string formatting. Our crawl function brings together all the other functions we have written and contains quite a lot of it’s own logic. We begin by creating a empty slice of ScrapeResult’s. We then create a workList channel which will contain a list of URLs to scrape. We also initialize an integer value and set it to one. We also create a channel of tokens which will be passed into our crawl page function and limit the total concurrency as defined when we launch the crawler. We then parse our start URL, to get our baseDomain which is used in multiple places within our crawling logic. Our main for loop is rather complicated. But we essentially create a new goroutine for each item, in our work list. This doesn’t mean we scrape every page at once, due to the fact that we use our tokens channel as a semaphore. We call our crawlPage function, pulling out the results from our parser and all the internal links found. These foundLinks are then put into our workList and the process continues until we run out of new links to crawl. We can then write a very simple main.go function where we create an instance of our parser. Then simply call our Crawl function, and watch our crawler go out and collect results. It should be noted that the crawler is very fasted and should be used with very low levels of concurrency in most instances. The democrawl repo can be found on my Github, feel free to use the code and expand and modify it to fit your needs.